Colours are amazing. They brighten up one's day and it makes people happy. To me, colours are a part of my life I cannot do without. 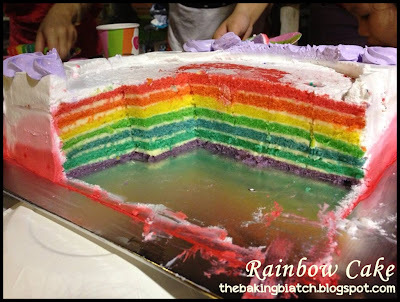 As such, it is my honour to host Aspiring Bakers #40: Rainbow and Ombre Party! Sadly, this is also the very last series of the Aspiring Bakers that Small Small Baker has been having bloggers to host. Therefore, we wanna end it with a big bang! 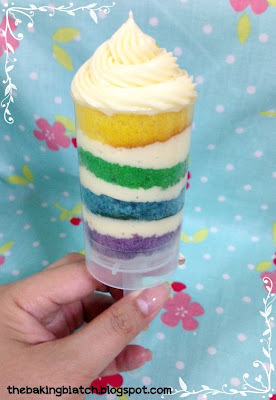 The theme this time round would be Rainbow and Ombre Party! 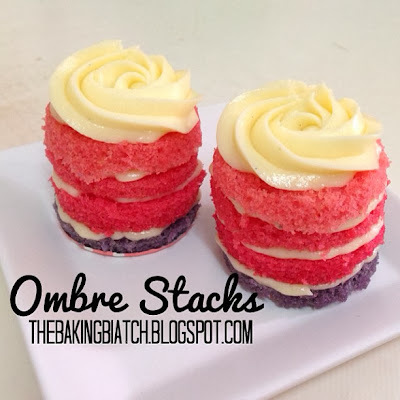 Any bakes/desserts that are colourful (with at least 4 colours) or ombre themed are good for submission this time round. 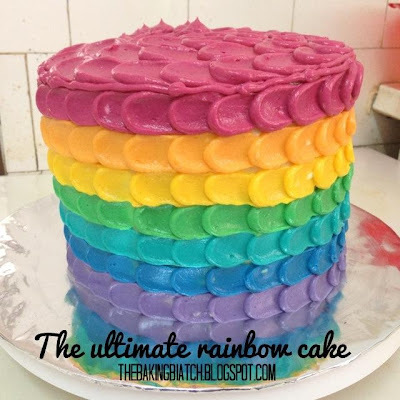 1) Anything edibles that are rainbow or ombre in colour are good for submission. 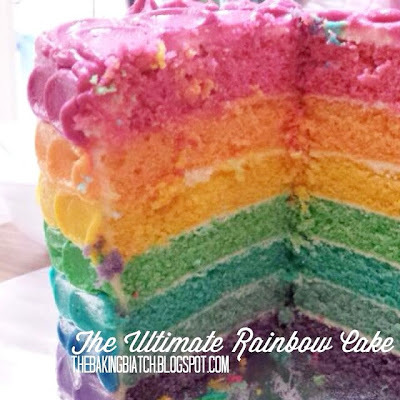 2) Rainbow Bakes should be of AT LEAST 4 colours. Cookies, cakepops, cakes, tarts, cheesecakes, pushpop, jellies, agar agar are all good. 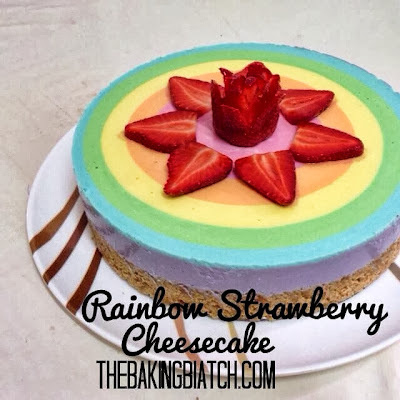 Cook or bake or make any rainbow/ombre desserts or bakes. Post it on your blog between 1 March 2014 and 31 March 2014. 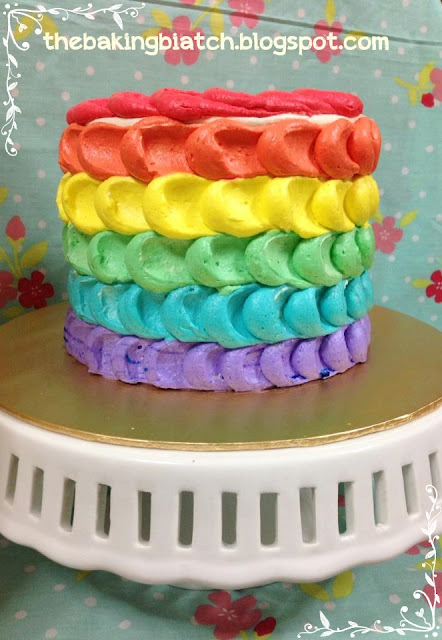 Please mention that you are submitting your post to Aspiring Bakers #40: Rainbow and Ombre Party! (March 2014) hosted by Cynthia of The Baking Biatch and provide a link back to this post HERE. Please use "Aspiring Bakers #41" as your email subject. You may submit more than 1 entry for this monthly event. The roundup will be posted on 1 April 2014. 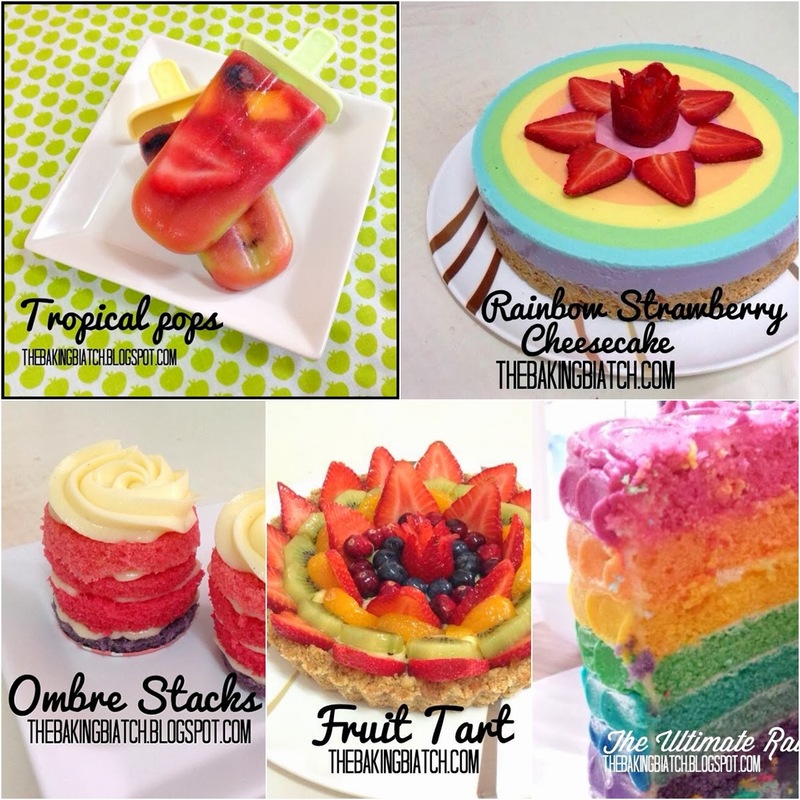 Here are some bakes of mine that you can draw inspiration from!